The most recent issue of OEI magazine takes its starting point in Ernesto de Sousa’s explosive activities as filmmaker, photographer, curator, critic, writer, folk art researcher, multimedia artist etc. in the Portuguese 1960s onwards. 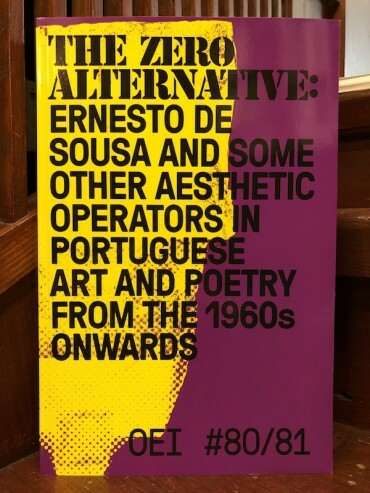 Being active in almost everything that belongs to the domain of the arts in the broadest sense of the word, Ernesto de Sousa (1921-1988) adopted the term "aesthetic operator” to be used instead of the word "artist” – "for the simple reason that ‘artist’ designates a kind of sociological position and not a philosophical attitude towards the world” (José Miranda Justo). As a "source of enthusiasm, dynamism and motivation” (Isabel Alves), Ernesto de Sousa created new connections between all sorts of disciplines, forms, materials and social contexts. 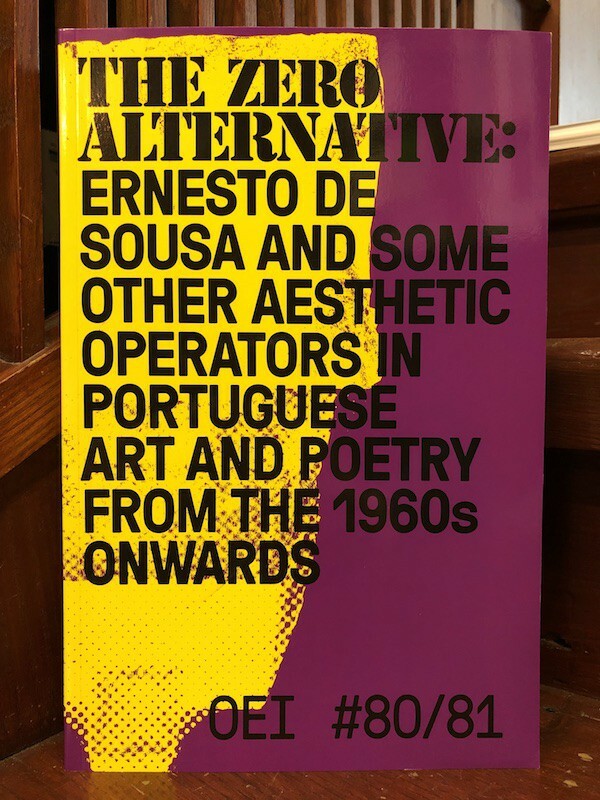 In its 640 page long textual and visual montage, including a series of new essays and translations of key essays, as well as a lot of archival material, OEI #80-81 also looks at the practices of a number of De Sousa’s fellow "aesthetic operators” (Alberto Carneiro, Túlia Saldanha, Álvaro Lapa, Fernando Calhau, Lourdes Castro, Ana Vieira, Ana Hatherly, E.M. de Melo e Castro, António Barros…). At the same time, OEI #80-81 encompasses texts on magazines such as Poesia Experimental, Operação, Nova, A Urtiga, and Alternativa; and works by artists from younger generations such as Isabel Carvalho, Paulo Mendes and Mariana Silva. OEI is a Stockholm based magazine for extra-disciplinary spaces and de-disciplinizing moments – experimental forms of thinking, montages between poetry, art, philosophy, film, and documents; critical investigations, editorial enunciations, aesthetic technologies, non-affirmative writing, speculative archaeologies, new ecologies, and critical historiographies. OEI magazine was founded in 1999 and has published 81 issues. The publishing structure OEI editör was started in 2002 and has published some 100 books of investigative poetry, aesthetic documents, artist’s books, theoretical and poetological texts etc. OEI is an artistic and literary project run by Jonas (J) Magnusson & Cecilia Grönberg.